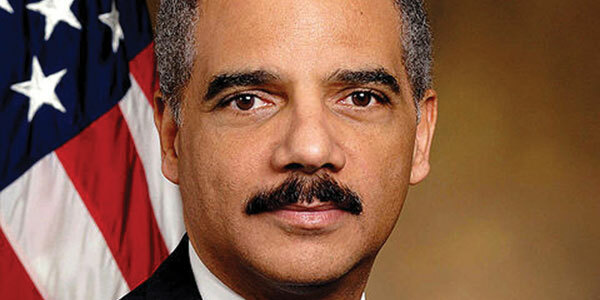 Eric H. Holder, Jr., Esq. On behalf of the Irish American Unity Conference (“IAUC”), this is to request your personal attention to a legal matter of utmost concern to the IAUC and which has potentially serious implications for United States policy pertaining to international law and treaties. As you are aware, the United States Attorney, at the request of the United Kingdom, has caused the issuance of subpoenas to the Trustees of Boston College and two of its representatives, seeking the production of highly sensitive materials gathered and maintained by Boston College’s Burns Library. The legal proceedings are pending before the United States District Court for the District of Massachusetts in IN RE: Request from the United Kingdom Pursuant to the Treaty Between the Government of the United States of America and the Government of the United Kingdom on Mutual Assistance in Criminal Matters in the Matter of Dolours Price, M.B.D. No. : 11-MC-91078 (JLT). Article 18 of the MLAT also requires that the Attorney General engage in a consultation with the United Kingdom where either the United States or the United Kingdom “has rights or obligations under another bilateral or multilateral agreement relating to the subject matter of this Treaty.” These issues are presently pending before the court in the docket referenced above. The IAUC’s concern is that the subject materials contain sensitive information and allegations concerning the “Troubles” in Northern Ireland which, if released, pose a high potential to destabilize the Irish peace process. That process is at a delicate stage because there exist elements that, for their own reasons, are staunchly opposed to peace in Northern Ireland and seek to reverse the progress that has been made. While the contents of the subpoenaed materials are unknown to the public, it is likely that they will engender recriminations and undermine trust among various parties, and could lead to a new round of violence in Northern Ireland. The IAUC believes that the subpoenas requested by the UK are politically motivated. The subpoenas were initiated on March 3, 2011, immediately after the unexpected success of nationalists in the February 2011 Irish elections, and at a time when “dissident republicans” and hard-line Loyalists have become increasingly active in trying to undo the peace. Further, the British government’s focus on a single killing in 1972 contrasts starkly with the United Kingdom’s long-standing refusal to pursue investigations of crimes with many innocent victims, such as the 1974 Dublin-Monaghan murders (33 civilians killed), the 1971 Ballymurphy Massacre (11 civilians killed), the 1971 McGurk’s Bar bombing (15 civilians killed), and the murders of civil rights attorneys Patrick Finucane in 1996 and Rosemary Nelson in 1999. Further, the IAUC submits that the Good Friday Agreement (“GFA”) is “another bilateral or multilateral agreement relating to the subject matter of” the MLAT, pursuant to which the UK has obligations, and therefore is the type of of agreement concerning which the Attorney General is obligated to consult under Section 18 of the MLAT prior to issuing subpoenas. 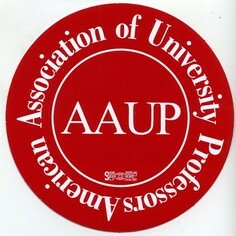 In light of the serious implications of the subpoenas including the legal issues raised, the IAUC urgently requests that you personally review the consistency of the subpoenas with the duties and obligations of your office under the MLAT, and upon due consideration, withdraw the request for subpoenas. Thank you in advance for your thoughtful consideration, and please let us know if we may provide any additional information. The international rhubarb over the federal subpoena of the Belfast Project oral history tapes guarded by Boston College has piqued the interest of several advocacy groups who are taking active measures outside of the court system to quash the order. Representatives of Irish American organizations recently met with officials in Senator John Kerry’s office regarding the federal subpoena of confidential oral histories related to a period known as “the Troubles” in Northern Ireland that lasted from 1969-1998. Richard Wall and Richard Thompson of the Massachusetts Ancient Order of Hibernians, an Irish Catholic fraternal organization which seeks as part of its mission for a peaceful and just solution to the issues that divide Ireland-along with Boston attorneys John Foley and James Cotter and New York attorney Stephen McCabe of the Brehon Law Society and the Irish Parades Emergency Committee briefed staffers on the subpoena controversy. “Discussed was the chilling effect of the actions of Great Britain in issuing subpoenas could have on oral history projects, and the first amendment questions raised when journalists are requested to divulge information obtained in confidence,” said the representatives in a statement. Kerry’s office has expressed concern over the sensitive issue. “Senator Kerry and his staff have sought information and been kept up to date on the subpoenas issued to Boston College. Obviously this is a sensitive issue, and while it is an issue for the courts, Senator Kerry has urged all parties involved to carefully consider any actions that could affect the peace process,” said Whitney Smith, press secretary for Kerry. Kerry was involved in the Belfast Agreement, which includes assurances that offenses which occurred prior to the 1998 agreement would not be re-opened for trial. The subpoenaed oral history tapes, promised to the interviewees to remain confidential until death of the interviewee, are part of an investigation into murders and kidnappings conducted as part of the struggle over governance in Northern Ireland. Law enforcement officials in the United Kingdom, issuing a subpoena for the tapes through the U.S. Attorney’s office, seek the contents of the project in hopes of gathering information related to the 1972 abduction and murder of Jean McConville. McConville was a mother of 10, residing in Belfast at the time, and suspected of being an informer for British loyalists. The IRA has admitted its involvement in the murder of McConville, whose remains were discovered in Ireland in 2003, but no individuals have been charged with the murder. 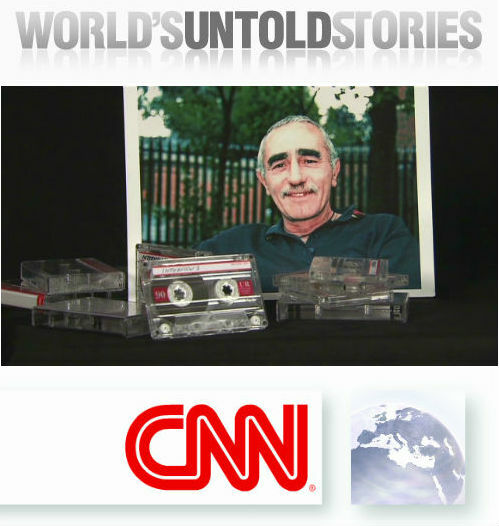 The interviews of one of the Project’s participants, Brendan Hughes, has been handed over to the requesting party in the UK, as the promise of confidentiality expired upon his death in 2008, and most of his testimony has already appeared in Irish journalist Ed Moloney’s Voices from the Grave. The testimony of others, including Delores Price, the subject of the original subpoena for records, continues to be held in confidentiality by the University until death of the individual interviewed. Both Hughes and Price made previous assertions that Gerry Adams, the leader of Sinn Fein, a political party in Northern Ireland associated with the Provisional IRA, ordered McConville’s murder. Adams has denied the allegations. Violation of the Belfast Agreement is the argument used by Moloney, who directed the Belfast Project currently housed in the Burns Library, and Anthony McIntyre, a former IRA member who interviewed Republicans for the project, to object to the federal subpoena separate from BC’s challenge. Moloney and McIntyre argue that the use of the tapes for the prosecution concerning McConville’s death is a direct violation of the agreement. The international ordeal has also sparked action by the Irish American Unity Conference (IAUC), an advocacy organization for continued reconciliation in Northern Ireland. The IAUC has issued a plea to U.S. Secretary of State Hillary Clinton to intervene and have the subpoena rescinded, claiming the subpoenaed documents would endanger the reconciliation process in Northern Ireland. “Release of the materials sought by the subpoenas would be contrary to the foreign policy and national security interests of the U.S. because they have a high potential for severely undermining the peace process, which has been an important foreign policy objective of the U.S. for the past 15 years,” said Thomas J. Burke, Jr., national president of the IAUC, in his letter to Clinton. Representatives from the IAUC could not be reached for additional comment on their request to Clinton or other efforts to annul the request for records. The concern of the IAUC over the impact of the release of the tapes on the reconciliation process in Northern Ireland echoes the position of the University. BC maintains that relinquishing interviews prior to the death of interviewees as promised by the Project coordinators would not only violate an agreement, but also jeopardize the safety of the participants in the Belfast Project, the peace process in Northern Ireland, and academic freedom. “The University’s ongoing position has been that the premature release of the tapes could threaten the safety of the participants, the enterprise of oral history, and the ongoing peace and reconciliation process in Northern Ireland,” said University Spokesman Jack Dunn, in a previous interview. Prosecutors maintain that BC had no authority to grant confidentiality and that justice for a crime supersedes academic privilege. Despite the increased concern from outside organizations, officials declined to comment further on the case. Prolonging the ordeal, Judge Joseph Tauro removed himself from the case stating conflict of interest. His son, Christopher Tauro, is a partner at Edwards Wildman Palmer, the firm representing the interests of BC in the case. Judge William Young has been assigned to the case. Parts of an interview we at TheWildGeese.com conducted in September with former Belfast Project Director Ed Moloney concern three February 18, 2010, Irish News articles that were based on information evidently gathered from former Provisional IRA senior operative Dolours Price. In those portions of our Q&A, Moloney attempted to provide background to the British authorities’ interest in the oral history that Price provided to Boston College’s Belfast Project. In doing so, Moloney condemned actions he ascribed to the Irish News staff during its information gathering at Price’s home prior to the Irish News articles’ publication. Irish News Editor Noel Doran approached TheWildGeese.com shortly after our Moloney interview was published, requesting the opportunity to respond to Moloney. We had, in fact, reached out to Irish News reporter Allison Morris prior to release of our interview with Moloney, but had received no response. Acknowledging our lack of success in getting an Irish News perspective before publication, we invited Doran to address Moloney’s criticism, and he sent us the following statement, which we publish here, unedited, in its entirety. It is genuinely surprising to find a journalist with Ed Moloney’s experience directly questioning editorial standards at the Irish News but making the elementary mistake of failing to establish the newspaper’s point of view. As a result, Moloney attributes words and deeds to members of staff at the Irish News which bear little or no resemblance to the truth of the matter. I am grateful to TheWildGeese.com for providing me with the opportunity to set the record straight. To begin with my own position, I can say with certainty, as editor of the Irish News, that I have not heard from Moloney for over a decade, and yet he has managed to produce an entirely flawed account of two short telephone calls in which I was involved last year. In his contribution to TheWildGeese.com, Moloney says that I spoke to a person he strangely refers to only as the aunt of the son of Dolours Price. It is hard to understand why Moloney did not identify this individual as Marion Price, a prominent figure in Irish republicanism for almost 40 years. Marion Price did indeed telephone me in Febuary, 2010, after her sister, Dolours, had made a number of approaches to us and invited an Irish News representative to speak to her at her Co. Dublin home. What actually happened was that Marion Price telephoned me and asked if we were planning to run an interview with her sister. I said we were still pursuing our research and I would get back to her when we had reached a conclusion. I rang her back some days later to say that we had decided against publishing an interview with her sister but we would be carrying a statement from Dolours Price which confirmed that she intended to engage with the Independent Commission for the Location of Victims’ Remains (ICLVR) — more commonly known as the commission for the Disappeared. Marion Price thanked me for calling her and ended the conversation. Although Moloney claims that this outcome was reached “after much discussion,” both of my two telephone calls with Marion Price were actually brief and the second lasted rather less than one minute. Our report of February 18, 2010, could hardly be more clear and strongly focused on Dolours Price’s plans to speak to the commission for the Disappeared, an important and plainly newsworthy development which also provided her with the considerable protection of immunity from prosecution over any statements she might make in this context. We understand that Dolours Price honoured this arrangement. It is verging on the bizarre that Moloney could describe our coverage of this date as an interview when it did not include a single quotation from Dolours Price, and it is striking that, throughout his version of our story, he managed to avoid even a single reference to the crucial role of the commission for the Disappeared. Our initial dealings with Dolours Price came about when she telephoned the Irish News and said she wished to offer her comments on an interview which we had just published with the president of Sinn Fein, Gerry Adams. I asked a senior news reporter, Allison Morris, to take on this responsibility, and, by agreement, an arrangement was made for a meeting at the Co. Dublin home of Dolours Price. Allison Morris, accompanied by a staff photographer who can corroborate the encounter, spoke amicably, professionally and in some detail to Dolours Price, and was never asked by anyone to stop the conversation. Only when Allison Morris was preparing to leave was she asked to take a telephone call from Marion Price, who was informed that — as she subsequently did — she should address any concerns she might have to myself as editor. It has been well documented that many Irish people who have survived the violence of the last four decades and beyond, including activists on all sides, politicans and indeed journalists, have suffered negative consequences to their health. This does not preclude them from offering an opinion on their experiences, although it is reasonable to expect that newspapers should acknowledge, as we did in our front page report of February 18, 2010, those who have a particular medical history. 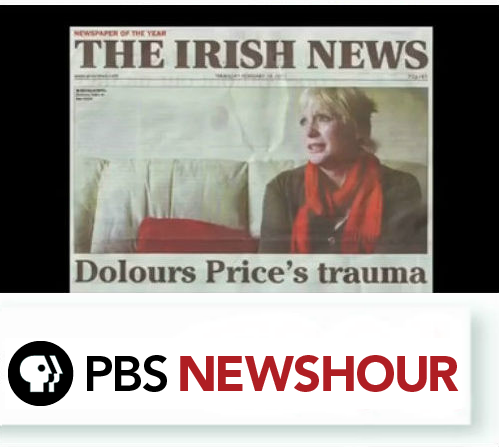 Dolours Price has provided her own testimony on many previous occasions, including her dealings with the organisers of the Boston College project before and after her involvement with the Irish News. She continued to offer her thoughts to the Irish News after we carried our reports of February 18, 2010, and no member of her family has subsequently raised any issues over our coverage. Moloney would have been able to solve this ‘mystery’ himself by a single telephone call to the Irish News, through which we would have readily confirmed that we were contacted by the PSNI some 16 months after our report about Dolours Price. Detectives routinely approach the main Belfast-based news organisations in connections with various investigations, and it is our policy to observe our responsibilities as both journalists and citizens in this regard. Accordingly, we informed the detectives both personally and in writing that we fully stood over our coverage of February 18, 2010, but we were no longer in possession of any research material which could possibly be of relevance to their inquiries. We have not subsequently heard from them. Moloney’s final allegation is that a tape provided by the Irish News was the basis for a subsequent article in the Sunday Life newspaper. I am completely satisfied this is untrue, and yet again Moloney made no attempt to check the background with the Irish News before going public with his claim. The Irish News did not make any tape recordings of Dolours Price available to other journalists or publications. Many other outlets have carried reports about Dolours Price down the years but the Irish News is only responsible for its own content. I appreciate the many pressures which Moloney is facing over his Boston College project, but the criticisms he directs against the Irish News are completely without foundation. The Irish American Unity Conference, an ‪interest group working for peace in Northern Ireland‬, is asking Secretary of State Hillary Clinton to intervene on its behalf and stop a subpoena from the Department of Justice requiring Boston College to hand over interviews of members of the Provisional Irish Republican Army. On behalf of the Irish American Unity Conference (“lAUC”), I write to call your attention to an urgent matter that threatens the peace process in Northern Ireland, and to request your assistance. At the request of the United Kingdom, the United States Attorney in Boston has caused the issuance of subpoenas to the Trustees of Boston College and two of its representatives, seeking the production of materials gathered and maintained by Boston College’s Bums Library which contain sensitive information and allegations concerning the Troubles in Northern Ireland. If released, the materials sought have serious potential to destabilize the peace process, which remains fragile and currently faces challenges from various elements from dissident nationalists and loyalist elements. The IAUC requests that you convey to the Attorney General the serious foreign policy and national security interests implicated by the subpoenas. Release of the materials sought by the subpoenas would be contrary to the foreign policy and national security interests of the United States because they have a high potential for severely undermining the peace process which has been an important foreign policy objective of the United States for the past fifteen years. As you are aware, the United States, under the administration of President Clinton, was a principal architect of the Good Friday Agreement, or “GFA” (also known as the Belfast Agreement) signed in 1998 by the United Kingdom and the Republic of Ireland. The results of this historic agreement have been the establishment of stability and relative calm to the North of Ireland. However, the Northern Ireland peace process is at a delicate juncture because certain elements exist who, for their own reasons, are staunchly opposed to the GFA and seek to undermine and dismantle the progress that has been made. While the contents of the subpoenaed materials are unknown to the public, it is likely that they contain material that will result in recriminations and undermine trust among various parties, and could lead to a new round of violence in Northern Ireland. In sum, the information sought has a serious potential for destabilizing the peace process and, by extension, U.S. national security interests. The timing and focus of the subpoenas strongly suggest that they are politically and personally motivated to expose certain individuals to danger and to disrupt the peace process. The subpoenas command production of audio and video recordings of “any and all interviews containing information about the  abduction and death of Mrs. Jean McConville,” along with “written transcripts, summaries, and indices of such interviews …. ” The subpoenas were initiated in the immediate wake of unexpected success of nationalists in the February 2011 elections to the Irish Parliament in Dublin, and at a time when “dissident republicans” and hardline Loyalists have become increasingly active in trying to undo the peace. Further, The British government’s focus on a single killing in 1972 contrasts sharply with the United Kingdom’s refusal to pursue investigations of crimes involving the death of many more victims, such as the 1974 Dublin-Monaghan murders (33 civilians killed), the 1971 Ballymurphy Massacre (11 civilians killed), the 1971 McGurk’s Bar bombing (15 civilians killed), and until last year, the 1972 Bloody Sunday murders (14 civilians killed). The IAUC therefore urgently requests that you communicate with Attorney General Eric Holder, regarding the serious national security implications raised by the subject subpoenas, and for that reason request that the subpoenas be withdrawn. Great Britain is using two subpoenas to compel Boston College (BC) to deliver oral history interviews of participants in the conflict in Northern Ireland. The interviews are known as the Belfast Project. In March, 2011, the subpoenas were issued pursuant to a Mutual Legal Assistance Treaty (MLAT) between the United States and Britain (UK). Technically, The U.S. Attorney for Massachusetts issued the subpoenas at the request of Great Britain. BC has moved to quash the subpoenas. The case is in the Federal District Court for Massachusetts. Great Britain is not, technically, a party to the case. Rather, the U.S. Attorney is defending the subpoena on Britain’s behalf. There have been a couple of rounds of briefs by the parties. On September 1, the Belfast Project’s two principal interviewers filed a motion to intervene in the case. The case is before Judge Tauro and is numbered 11-MC91078 (JLT) Docket # 18. BC is arguing that the subpoenas should be quashed because they threaten oral history research and because disclosure could put people’s lives at risk. The U.S. Attorney argues that the MLAT automatically entitles Britain to subpoena the interviews with no discretion by the court to consider the kind of damage that concerns BC. The interveners argue that Britain made assurances to the Senate during Extradition Treaty hearings that offenses prior to the 1998 Good Friday Agreement (GFA) offenses were off the table, and that those assurances preclude Britain from using the MLAT for a politically motivated investigation or prosecution. The case is pending. The Belfast Project is an academic effort to create sources for historians and others to help understand the conflict in Northern Ireland. Between 2000 and 2006, the Belfast Project recorded oral histories of Irish Republican and Loyalist paramilitaries. The interviews are archived at Burns Library at Boston College with the understanding that none would be released until the death of the interviewees. The contents of the interviews are not even known to Boston College officials. 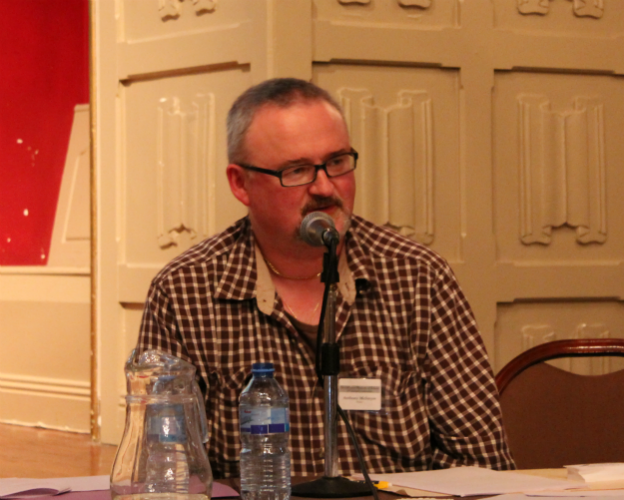 The Project’s two principal interviewers were Ed Moloney, a journalist and author, and Anthony McIntyre, a former IRA member and now a PhD. The subpoenas revolve around the 1972 killing of Jean McConville in Belfast. In 1999, after the Good Friday Agreement, the IRA admitted that it has killed Mrs. McConville for alleged informing. In 2006, the Northern Ireland Police Ombudsman issued a report finding that that the police and other government authorities never conducted a significant investigation of Mrs. McConville’s death. The first subpoena sought interviews of two former IRA members, Brendan Hughes and Delours Price. They had given newspaper interviews stating that they had been involved in Mrs. McConville’s killing and that Gerry Adams had somehow been involved in ordering it. Mr. Hughes has since died. Boston College has already delivered the Hughes interviews to the British government voluntarily, because his death satisfied the condition of confidentiality until death under which the interviews were given. The second subpoena seeks all interviews, of anyone, that mention Mrs. McConville. Great Britain’s motivation for the subpoenas is apparently highly political, rather than a matter of ordinary law enforcement. Over 3,000 people were killed during the conflict in Northern Ireland. The perpetrators included republican and loyalist paramilitaries, as well as British security forces. There are hundreds of unsolved cases where the individual perpetrator was never arrested or prosecuted. The British Government has never before used the MLAT for subpoenas about the conflict in Northern Ireland. The Belfast Project interviews include dozens of interviews from both republican and loyalist paramilitaries which may well discuss a large number of killings. So, the question looms. Why this one 39 year old case? And, why now? Mrs. McConville’s death was terrible and tragic. But so were hundreds of others. Why is the UK not seeking evidence regarding Pat Finucane or Rosemary Nelson or some of the hundreds of others killed by loyalists? The answer has to be a British political decision to pursue the McConville case, and to not pursue others. Only one fact sets the McConville case apart from the hundreds of other tragic unsolved killings. There is some indication that interviews in the McConville case might somehow implicate Gerry Adams – a highly political figure. The exact nature of Britain’s political reason for targeting Adams now is not publicly known. The British Government has kept its decision making process on this matter secret from the outside world. It may well be that even the United States Government does not know Britain’s motivation. Legal experts and journalist examining this case have put forward two theories as to why the British Government is targeting Gerry Adams now. The theories are not mutually exclusive. One theory is that a rogue element within the Police Service of Northern Ireland, with long standing hostility towards Adams, started the subpoena process and higher-ups in the British Government feared public embarrassment if they stopped the subpoena. A second possible British motivation is that higher echelons in the British Government want to damage Adams and Sinn Féin now because of their rising political power in the government of the Republic of Ireland. Ireland has suffered a devastating financial and economic collapse. Sinn Féin’s party platform is that the Irish Government and people should not bail out the financial institutions and bondholders left holding billions in bad debt. A very high portion of those financial institutions and bondholders are British. In the February 25, 2011, Irish Dáil elections, Sinn Féin had remarkable success. Gerry Adams led the party’s ballot. Sinn Féin is now the largest party in the Dáil opposed to the Irish Government’s bailout of bondholders. The British Government, acting through the U.S. Attorney for Massachusetts, started the court process for the Boston College subpoena in March, 2011. The United States has a long standing policy against helping other countries, particularly Britain, with politically motivated law enforcement and prosecutions. That conflict has usually played out in extradition cases, where “political offenses” were traditionally exempted from extradition to Britain, as well as to virtually all other countries. During the 1970s and 80s, American federal judges regularly refused to extradite IRA members to Great Britain because their crimes were committed as part of a political struggle. Joe Doherty might be the most famous of these cases. Unhappy with this outcome, Britain, in 1985, prevailed upon the U.S State Department to accept a Supplementary Extradition Treaty which took away the political offense exemption for many types of offenses. The U.S. Senate eventually approved the treaty, but only after inserting a defense to extradition if a court finds that the person is sought, or would face trial or punishment, because of his race, religion, nationality or political opinions. Yet, Great Britain was still dissatisfied with the extradition treaty. In 2003, Britain persuaded the State Department to further weaken protections from politically motivated prosecutions. For several years, the U.S. Senate refused to accept the changes because of the history of politically motivated prosecutions during the conflict in Northern Ireland, especially for offenses prior to the 1998 Good Friday Agreement. The treaties were sold to the Senate as being necessary for effective cross border law enforcement in a post-9/11 world, particularly for terrorism and money laundering. If the courts allow Britain to use the MLAT in this obviously politically motivated case, the MLAT should be revised similar to the extradition treaty to ensure that it is not used for pre-GFA cases. The above argument was prepared by Albany, NY-based attorney Thomas Fox in conjunction with Jim Cullen and Ned McGinley, special advisors to the national presidents of the Irish American Unity Conference, Brehon Law Society, and the Ancient Order of Hibernians respectively. Representatives of Irish American organizations have held discussions in Boston with officials in Senator John Kerry’s office, the focus of the discussion being the federal subpoena facing Boston College in the matter of the university’s Troubles archive. Boston attorneys John Foley and James Cotter, Richard Wall and Richard Thompson, president and past president respectively of the Massachusetts AOH, and New York attorney Stephen McCabe of The Brehon Law Society and The Irish Parades Emergency Committee, briefed staffers on the background of the controversy, and the history of the various treaties between the U.S. and UK dealing with, among other matters, the issuing of subpoenas. “Also discussed was the chilling effect the actions of Great Britain in issuing the subpoenas to BC would have on oral history projects, and the first amendment questions raised when journalists are requested to divulge information obtained in confidence,” the statement said. “Senator Kerry’s staff expressed concern over the implications raised by the subpoenas and will be bringing the senator up to date,” it concluded. Slugger O’Toole is Northern Ireland’s best known and most widely-read current affairs blog. Set up by Mick Fealty in 2002, it initially concentrated on Northern Ireland matters but has gradually expanded the breadth of its coverage, and its list of contributors, to include most points on the political and geographic compass. But there’s no doubt that it is Slugger’s coverage of Northern Ireland that brings the clicks. And Northern Ireland politics being what they are, there is no shortage of controversy about the stories that the blog posts, especially in the comments section where insults and abuse abound and often come close to violating the strict libel laws that operate in Ireland and the UK. Policing the comments section, and keeping Slugger O’Toole out of the libel courts, is surely one of Fealty’s more unenviable tasks. Most of the time the system he put in place in recent years – requiring commenters to register and applying a ‘play the ball, not the man’ policy – seems to work and does so fairly, excluding the more egregious vilification. But like others who have had dealings with Slugger O’Toole, I have come across complaints of inconsistency and even double standards in the application of that policy, that those who are powerful, financially and politically, get a better deal than those who aren’t. Others say there are protected and unprotected species on the site, that is some journalists and public figures about whom criticism is rarely tolerated, much less abuse, and others about whom almost anything can be inferred. Normally, I would dismiss complaints like this as sour grapes from people who came off second best in debates with opponents. Normally that would be my reaction, except I have personal experience at the hands of Slugger O’Toole and Mick Fealty that gives substance & weight to the complaint. Back in April/May 2005 I was contacted by a friend in Belfast who suggested I have a look at some of the comments directed at me on one posting placed on the blog towards the end of April. There I read that I was “a sneaky little bully” who had no real republican sources but plenty in the security forces; that I hankered for a return to the days of “bombs and bullets” and that I had acted as adviser/policy developer and “consigliero” (sic) for the IRA leadership. You said that Newsnight have “put these men’s lives in danger”. How? I have to say that enraged me. Double standards in the treatment of people always do. Mick Fealty had moved immediately to protect the reputation of people who had directed a campaign of bombing, shooting & death in Ireland for many years yet had done nothing at all when I, a reporter of some standing, was called an IRA “consigliero”. I am not a person who likes to contemplate suing. I dislike the libel laws which I believe are constructed more to protect the rich & powerful and to hide their excesses from public scrutiny than to prevent malicious commentary about innocent people. I didn’t want to sue in this case but I did write to Mick Fealty asking that the comments about me be removed. My first letter was ignored but eventually a lengthy correspondence ensued. However it wasn’t until the end of July that the matter was brought to an end, admittedly in a less than satisfactory way, and the comments removed. The Army Council got immediate satisfaction; I had to wait nearly three months. Last week, Mick Fealty removed another posting from his site that concerned myself, but this time most definitely not at my request or wish. I had given an interview to an Irish-American website called TheWildGeese.com about the ongoing legal and political struggle to prevent the US authorities from confiscating archived interviews with former IRA members, notably Dolours Price, lodged in the archives of Boston College on behalf, we suspect, of the PSNI. But we don’t know for sure who is behind this as the subpoenas have, in echoes of the days of the Star Chamber, been sealed to maintain secrecy. ♦ that Ciaran Barnes’ motive in behaving in this way, to infer or otherwise suggest that he had been given access to Boston College’s tape, was to hide the fact that his information had come instead from Allison Morris’ tape and that Morris’ role in betraying her source Dolours Price, and undermining her editor, would remain hidden. Thanks to their deception and trickery Allison Morris and Ciaran Barnes have substantial and direct responsibility for this attempt to raid the archives of Boston College, an effort which has the potential to imperil the future of oral history in the United States, destroy Boston College’s invaluable historical archive and put myself and my researcher Anthony McIntyre in countless difficulties. A straight line can be drawn, in other words, between their behaviour and the subpoenas served on Boston College. Without the former, the latter could and would not have happened. It was for this reason that in my interview with The Wild Geese website I said that “Boston College is the victim of journalistic ethics that are on a par with Rupert Murdoch’s hacking operations”. Notice, I did not say News International’s criminal behaviour but their ethical behaviour. And what I meant was that the deception of Morris and Barnes and Murdoch’s hacking shared the same disrespect for and mistreatment of sources in the search for headlines, a sensational story and professional advancement. ♦ Have the Irish News and/or Sunday Life been subpoena’d by the PSNI to hand over Allison Morris’ taped interview with Dolours Price? ♦ Does the Allison Morris tape still exist or has it been destroyed? ♦ Did the PSNI ever make any effort to discover if there was a tape recording of Dolours Price’s interview separate from those in the Boston College archives and if so, when did they make it? Was it immediately after the reports appeared in the Irish News & Sunday Life or did the PSNI wait, and if so, for how long? ♦ Has the PSNI ever attempted to interview Allison Morris and/or Ciaran Barnes about these matters? ♦ Does the Irish News have any other record or proof of Allison Morris’ interview with Dolours Price? If so, what is it and a) has the newspaper handed it over to the PSNI or b) has the PSNI subpoena’d it or even inquired about it? ♦ Has the PSNI handled this matter in such a way that local media sources remain unaffected and unharmed by their inquiry while the brunt falls upon Boston College? These are all questions which, as I say, make this a story of overwhelming public interest in Northern Ireland, especially as society there grapples with the vexed problems of how to deal with the past. My interview with The WIld Geese was immediately noticed by Slugger O’Toole contributor Mark McGregor who recognised its significance and wrote it up in a lengthy blog which he posted on the site at 7.24 pm (Belfast time) on Monday, October 11th. It stayed there for three hours or so, after which Mick Fealty removed it. Mick Fealty has yet, at the time of this posting, to make any reference to this incident on his blog much less explain why he acted in the way he did. I am told that he did this because of a fear of legal action against his site. Perhaps he will now come forward to explain so we can judge whether the threat was a real one or, as often happens with more powerful, influential and affluent parties, it was merely a bluff to kill off the story before it spiraled out of control. In the meantime here is the post that was removed from Slugger O’Toole. Enjoy. “When I asked ‘Did local media have a role in the Boston College case?’ I noted how articles by Allison Morris and Ciaran Barnes appeared central to the case being pursued in the US courts by the Attorney General to access oral history archives on behalf of an unknown wing of the British State. Their articles remain Exhibits 1 & 2 in the case. “Given Moloney’s statements questions may arise at the Society of Editors, Regional Press Awards as they declared Morris DAILY/SUNDAY REPORTER OF THE YEAR based on a three piece portfolio of work including that Price interview. The family of Pat Finucane have spoke of their anger after the Prime Minister ruled out a public inquiry into the loyalist murder of the Catholic solicitor. Relatives, who met David Cameron in London on Tuesday afternoon, were expecting to hear that a public inquiry would be held into his death. However, an 18-month long QC-led review into the circumstances of his murder has been offered instead, with no particicipation from the family. Mr Finucane was gunned down by loyalist paramilitaries in front of his wife and children in his north Belfast home in 1989. His family wanted a Bloody Sunday-style independent inquiry into allegations of collusion between the killers and security forces. They travelled to London to meet Secretary of State Owen Paterson and Mr Cameron to find out if an inquiry would be held and, if granted, under what terms. Mr Finucane’s widow, Geraldine, says she was insulted by what was offered by the PM and called a halt to the meeting. ‘I can barely speak to the media on this occasion, I am so angry,” she told reporters outside 10 Downing Street. Mrs Finucane said she could not understand how “yet another review of papers” could be justified. Retired Canadian judge Peter Cory, who examined allegations of collusion surrounding the Finucane and other controversial killings at the request of the British and Irish governments, recommended a public inquiry into the death. Mr Finucane’s son, Michael, who also attended Tuesday’s meeting, accused the Prime Minister of “reneging on a commitment that the previous government made to hold a public inquiry”. He said that Mr Cameron had given the “feeble” explanation that public inquiries had not worked in similar cases. “He seemed oblivious to the fact that the absence of participation by our family would mean we simply couldn’t support what he proposed,” he added. The family said they would continue their campaign for a full independent public inquiry. A Downing Street spokesman said that Mr Cameron told the Finucanes that investigations by Judge Cory and John Stevens, then deputy chief constable of Cambridgeshire Police, demonstrated there had been state collusion in the murder. “He accepted these conclusions and on behalf of the Government he apologised to the family,” the spokesman added. “He confirmed that the Government’s priority was to get to the truth in the best and most effective way. “The Secretary of State for Northern Ireland will set out the details of this process shortly,” he said. The Irish Government has pledged to support the family in their bid to obtain an inquiry. Taoiseach Enda Kenny said, while speaking in the Dáil, that if Geraldine Finucane was not happy with the outcome of her meeting with the Prime Minister, then the house would not be happy either. He was responding to comments from Gerry Adams, Sinn Féin leader and Louth TD, who called for the Irish Government to challenge the proposal. Mr Kenny said Tanaiste Eamon Gilmore will issue an invitation to Mrs Finucane to meet the Government next week to discuss how to move forward. “I respect the Prime Minister’s wish that the truth should be arrived at in the shortest time and that an apology should go to those who are bereaved of the loss of their father and husband,” said Mr Kenny. “There is no price you can put on the truth,” he added. Meanwhile, SDLP justice spokesperson Alban Maginness has described the decision as unacceptable. The North Belfast MLA said: “After all this length of time one would have expected better from the British Government and Prime Minister on an issue that runs deep into the British military and security complex. The Committee on the Administration of Justice (CAJ) said it had been campaigning for an inquiry for 22 years. Gemma McKeown, Solicitor at CAJ, said: “What the British government has offered the Finucane family is nothing short of insulting. A review, to be carried out by a QC, does not constitute a proper Inquiry that upholds the rule of law. DUP Deputy Leader Nigel Dodds has welcomed the outcome. “Everyone understands the desire of relatives to get the full facts about the death of their loved one,” Mr Dodds said. TheWildGeese.com: Mr. Moloney, what led you in the direction of becoming a journalist and specifically into this area of journalism? Ed Moloney: I became a journalist partly because I hated teaching and wanted to get out of it, partly because I enjoyed both researching and writing and was just plain nosy and partly because of a fascination with the politics of Northern Ireland. I was a student at QUB (Queens University Belfast) when the civil rights struggle began, observed it up close, and, I suppose, got addicted. At this stage, this is not an issue that affects journalists, although it may at a later stage. … It is an issue that affects academic freedom and the ability of oral historians to collect life accounts from all sorts of people. If we lose this case, it will have a chilling effect on oral history in America, and that is important. What oral history does is tell the story of people who are not powerful, but ordinary participants in society. If they are discouraged from telling their stories, it means that history and the explanation of society is even more in the control of the powerful than it already is. The sort of examples I am thinking of is, say, people who were involved in the Black Panther movement, which was very close ideologically to the IRA. If there is a risk that the FBI will come looking for their interviews in order to press criminal charges, then they will not speak to oral historians, and their stories will be lost forever. Instead, we will have to rely on the Al Sharptons of America to tell a story of which they were never a part. WG: My understanding is that there were 60 subjects interviewed in this project. First, is that the specific number or were there more, and second, what prompted the (Belfast) Project, what was the express purpose behind it? Ed Moloney: I have never given any figure as to the number of interviewees and never would. It was the Good Friday Agreement, or rather the end of the conflict that it signaled, that was the spur for the project. A similar project had been conducted in the South [the lower 26 counties, eventually named The Republic of Ireland] after the Anglo-Irish War, and I thought it was important to tell a similar story, that of those on both sides who had fought in the war. But the Anglo-Irish War was very short compared to the Troubles in the North. In the South, they could wait 20 years or so for passions to quiet before starting the project. Our conflict had already lasted for 30 years, those involved were getting old, especially people who had been there at the start. So there was an urgency to get it going before key people died. Essentially, it was done to ensure that the unique viewpoint of those in the trenches was told when the history of the troubles was written. WG: How did you convince so many combatants—and specifically Irish Republican and British Loyalist—to open up to you about their involvement? Did you conduct all of these interviews or most of them yourself? Were you seen as a neutral party or generally trusted and/or suspected by your subjects as more Nationalist or Unionist in your identity when you interacted? Ed Moloney: I did none of the interviews at all. The project would not have been possible had I tried to do that. The researchers, one for IRA (members) and one for UVF, were chosen a) because of their academic qualifications, a Ph.D. in one case, an Honours degree in the other and b) because of their own association with the groups being interviewed. It was obvious that people who had been in the IRA or UVF would not open up to journalists or other academics, but would be prepared to do so to people from their own background who they could trust. So I played no part in the interviews, and although I suggested names, it was up to the researchers to choose interviewees and persuade them to talk. Although I read the interviews and made comments and suggestions, I did not know, nor want to know who was being interviewed, although obviously I could guess at some. That way, security and trust was strengthened. WG: As a veteran journalist, can you first describe your personal stake in these subpoenas and, secondly, elaborate on what it means for all journalists and the public at large? Are you aware of previous court rulings related to your case, and do you have an expectation of how your situation will finally be resolved? Ed Moloney: I don’t know how our case will be resolved, but obviously we hope to win. We have a great lawyer working for us, Eamonn Dornan, who has put together a very clever argument based upon the U.S. Senate’s promise and commitment they got from the British that no person involved in anything prior to the GFA (Good Friday Agreement) could be sought for extradition in the U.S. If they can’t be extradited, then neither should their interviews be extradited. When we started this project, it was pre-9/11. Then we had the attacks, and the story thereafter in the U.S. has been one of unhampered state surveillance and unprecedented powers by people like the FBI to snoop and spy, and we, unfortunately, have been caught up in that. But for 9/11, Bush, Obama, and Osama Bin Laden, I don’t think this would be happening because the authorities wouldn’t dare. WG: I understand that both Brendan Hughes and Dolours Price told you during interviews that Gerry Adams ordered the killing of Jean McConville. I also understand that the British government’s interest in getting a hold of the interviews includes finding evidence of who killed her. There are other implications from an intelligence point of view, including discovery of what information about British agents has been documented, in which the British government must surely also be interested. So from a journalist’s point of view and from the point of view of a citizen in a democracy, how fair do you feel the national security argument is in this or related cases, especially given that a treaty to end the conflict was signed in 1998? That last sentence is a lie. He (Barnes) was not and never would be permitted access to Boston College’s interviews. Boston College is the victim of journalistic ethics in Belfast that are on a par with Rupert Murdoch’s hacking operations, and you can quote me. WG: What can readers of The Wild Geese do to lend support for you in your struggle to protect your sources in the case? Is there a central location on the web or elsewhere for information and also to contact or advocate? PLEASE TAKE ACTION ON THIS VERY IMPORTANT ISSUE. Tell them you are calling on them to use their good office to put an end to the legal fiasco surrounding the subpoena of oral history tapes of the IRA from Boston College by the PSNI. (Refer them to the Boston College Subpoena News on Facebook for complete details and updates). Mention that you can’t understand why the U.S. government is taking drastic legal action against a U.S. college on behalf of a foreign government? Tell them you don’t see any reason why the U.S. has to be party to this investigation. There is nothing positive to be gained by these actions and it will only serve to jeopardize the lives of all those involved in the project. Let them know that such credible Irish organizations in the USA, namely the AOH, the Irish American Unity Conference and the Brehon Law Society have joined the campaign to help put an end to this politically motivated fishing expedition. Tell your representative that you are concerned that there exists the potential to destabilize the Good Friday Agreement if the PSNI continues to take legal action against Boston College. Make sure you sign off by letting them know you would appreciate the courtesy of a reply from them as to how they can be of assistance in this matter.